Earlier today new Liverpool forward Sadio Mané suffered a damaged shoulder in training and was rushed to Hospital fearing a long lay off. However, after tests the Striker has just incurred a muscle injury and it is believed that although, he will miss the game against Burnley on Saturday, he should be available for selection again thereafter. 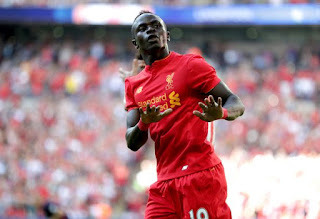 This is sure to be a relief to Jurgen Klopp and Liverpool as the £36 million man has already proved his class for the club with his great goal in the 4-3 win against Arsenal last Sunday.